Customers nowadays research on products before they actually buy them. Let’s understand the concept of Price Comparison with the help of a very common use case scenario. As a customer, I turn up to a vegetable store to buy some tomatoes. It is likely that I shall pick the best quality tomatoes from the tomato lot. Likewise, if customers are visiting an online store, they will run from pillar to post to look for the best possible deals for the products they wish to buy. Obviously, its basic human nature that they will always want to save that extra penny on the purchases. Therefore price comparison has become a significant aspect of online shopping experience for customers. One must have come across websites like Shopping.com(eBay) and Google Shopping(Google). These are some of the popular websites allowing its customers to compare the prices exhibited by different sellers. Hence, Seller Price Comparison is definitely a customer-friendly feature because it’s the customers who shall befit in monetary terms. For instance, a customer visits an online website and comes across a sweatshirt bearing a price of $30 which belongs to seller A. In the same website, the same customer finds that seller B has exhibited the same sweatshirt for $20. Obviously, the customer will surely buy the sweatshirt bearing price $20 which belongs to seller B. In this use case scenario, the rating and reviews also play a major role. If a customer sees that for seller B both the prices and the ratings are satisfactory, then the customer shall surely buy it. With its growing popularity amongst customers, Seller Price Comparison has brought a drastic change in the e-commerce industry. Each website is trying to make the shopping experience better for the customers so as to have their customers come back for purchases again. 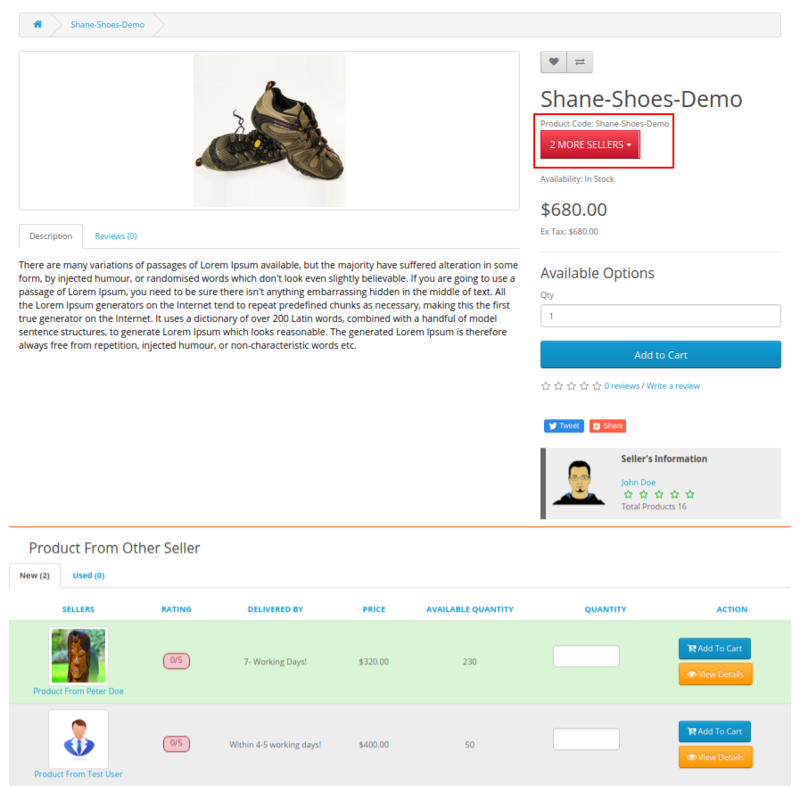 Saves customers time which is spent on navigating various product pages. Customers surely get to save some money. Offers a variety of choices to the customers so as to choose sellers. Customers can choose the best price for a product/ products. User rating which helps your customers choose the best.